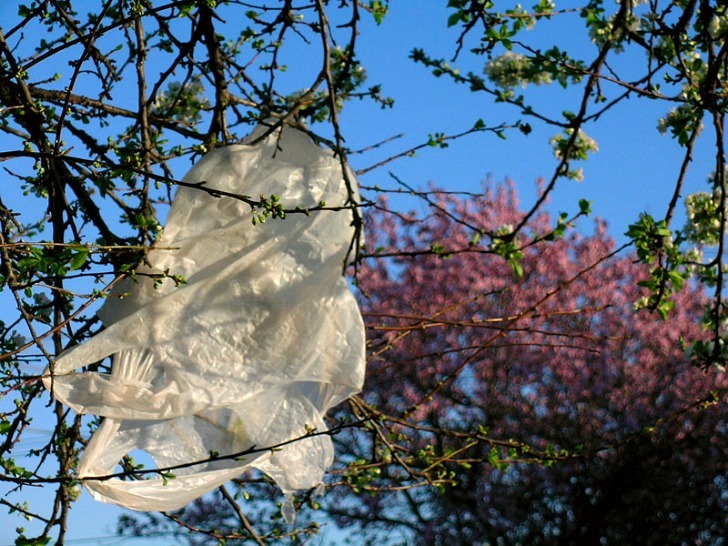 Portland, Oregon is the Latest City to Ban Plastic Bags! Plastic bags are the bane of every eco-minded person’s existence. They can’t be normally recycled, they’re made with polluting petroleum, they don’t breakdown in landfills — the list of earth-harming characteristics goes on and on. Which is why we are thrilled to report that Portland, Oregon has hopped on the plastic bag ban bandwagon! Last Thursday, Portland’s city council unanimously approved an ordinance that bans plastic bags from major grocery stores and some big box retailers. The new rules will take effect on October 15, which is less than three months away. While the rules are certainly a big step forward in removing plastic bags from our daily lives, there are plenty of exceptions to the rule. First, it only hits stores that make $2 million or more in gross annual income. Second, plastic bags will only be banned at the check-out counters in grocery stores; they will still be allowed for produce, meat, and bulk foods. Third, pharmacists can still use plastic bags to protect customers’ privacy. There will also be no mandatory fee on paper checkout bags, meaning that there is less of an option for consumers to switch to reusable bags, which is pretty much the whole point of a plastic bag ban in the first place. A failed state bill that banned plastic bags did include a mandatory fee for paper bags, which Rep. Ben Cannon (D-Portland), a sponsor of the state bill, believes is necessary to encourage people to swap reusable bags for paper or plastic. But still, the fact that Portland implemented any type of plastic bag ban at all is really great news. The city has now joined the ranks of San Francisco, Los Angeles, San Jose, and several towns in coastal North Carolina, along with dozens more throughout the world. Any progress is still progress, and we need all we can get... Good job Portland!!!! Keep up the good work!!! It doesn't look like much of a victory for the anti-baggers. Pharmacists can protect buyer privacy with paper bags. Every mom and pop shop in the city can still use plastic. Gas stations. This has all the smell of "feel good" legislation. Plastic bags are the bane of every eco-minded person's existence. They can't be normally recycled, they're made with polluting petroleum, they don't breakdown in landfills -- the list of earth-harming characteristics goes on and on. Which is why we are thrilled to report that Portland, Oregon has hopped on the plastic bag ban bandwagon! 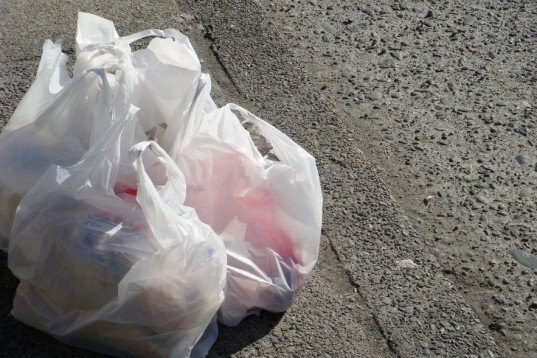 Last Thursday, Portland's city council unanimously approved an ordinance that bans plastic bags from major grocery stores and some big box retailers.